Here at La Vigna Event Center, we offer customizable, all-inclusive wedding packages. We can host your ceremony, your reception, or both. 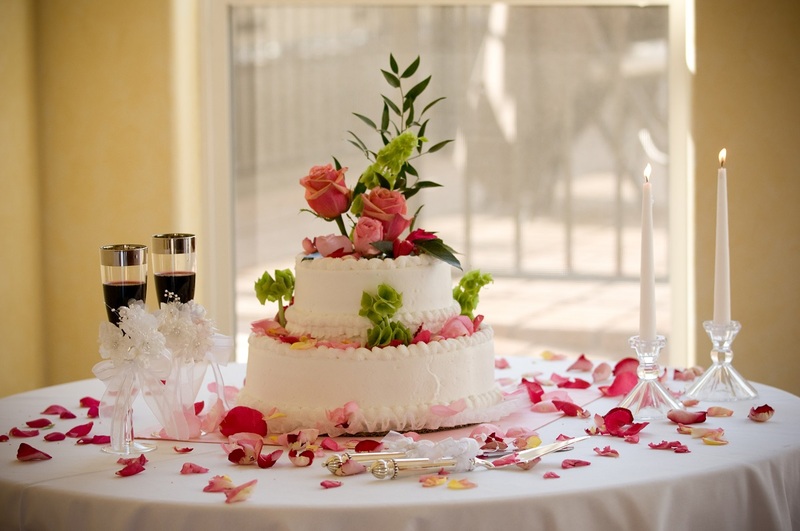 We are open year-round, and offer all the amenities that you may need for your special day. Our banquet room boasts handmade redwood arched doors, a grand polished granite bar, picture windows and French doors that lead out to our expansive, covered outdoor patio. The covered patio and open dance floor offer unobstructed views of our vineyard and the surrounding hills, making it a natural backdrop for dramatic and memorable pictures. Impress your guests with our premium wines at our custom-built Barrel Bar. A beautifully furnished bridal room is discreetly tucked away from the rest of the facility and offers a cozy and quiet place for you to prepare and take a deep breath. All-inclusive wedding packages can include food from a celebrated local chef, tables, chairs, linens, overlays, dinnerware, stemware, and flatware. Services we provide include full set up, bar and table service, as well as full clean up. We offer a full list of preferred vendors to assist in finding everything from photography to your wedding cake. La Vigna Event Center’s staff will make the planning and execution of your wedding day as stress free as possible. *When using our in-house catering service, dinnerware and flatware are included. Our catering service includes all food services. Our catering service can support most dietary requests. **Use of outside catering service is subject to approval and caterer is expected to provide dinnerware, flatware and food services.